It's been a tick since I've read an Alien story that captivated me as much as this one. I felt like I blazed through this story. Whole pages seemed to pass me by and before I knew it the story was over. While the incredibly fast pacing certainly helped with that, without the brilliant writing from the Author none of that would have mattered. From start to finish I was completely hooked into Dark Energy and its characters. I especially loved the relationship between Alice and her Father. It was so nice seeing a positive Father/Daughter relationship for a change. Also I loved Kurt. It was great having a romantic build up that felt natural, not forced just for the sake of having a couple. Best of all their romance didn't overshadow the main story. It just blended into the background nicely. Oh and I can't help but mention the Aliens themselves. Their background is one of the best parts to be discovered. You'll be slack jawed when all is revealed. It was a really nice twist on a typical Alien invasion plot. As for the story, woah boy, it was a doozie. While I did guess one portion of the plot correctly, the other major twist was so shocking even I was caught off guard. I really love when an Author can surprise me. For people like me who read a lot it can be tough. If I could award a Gold star to the Author for originality I would. Overall, I'm completely happy with Dark Energy. The plot was great, I loved the little twists and turns to the story and best of all it was great seeing so much diversity among the main characters. I really hope the Author decides on a sequel or even a prequel. I definitely feel like more story is waiting to be told. 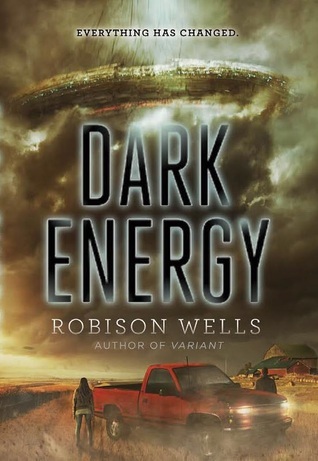 With that being said, I'll be rating Dark Energy by Robison Wells ★★★★★. *Review copy provided by publisher via Edelweiss. All opinions are my own and I was not compensated by the publisher or Author for providing them. 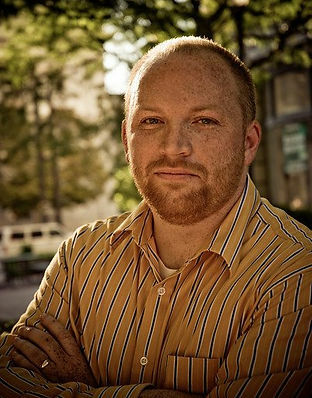 Robison Wells is also the author of Blackout, Variant, and Feedback. 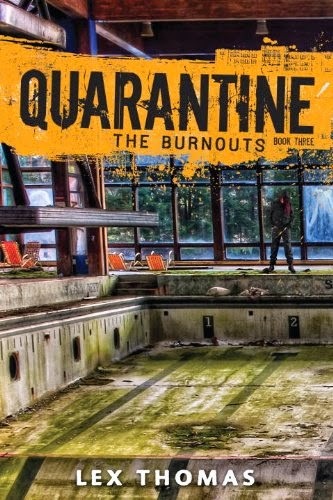 Variant was a Publishers Weekly Best Book and a YALSA Quick Pick for Reluctant Readers. Robison lives in the Rocky Mountains in a house not too far from elk pastures. His wife, Erin, is a better person than he will ever be, and their three kids cause mischief and/or joy. so happy to see you loved this book. Alien stories for me are a hit or miss but I have read this author before and enjoyed it. So i am hoping I will feel the same about this one. Oh, nice. I haven't read any of Robison Wells's previous series, but this sounds great. I love a good alien story. So glad to hear you liked it! Thanks for the great review!